If you are looking to get the most out of your business and the way that you run your business, it is the time that you learn all about search engine optimization. Search engine optimization, or SEO for short, is a type of marketing that anyone with a website should grow to understand and embrace. 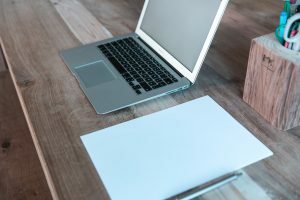 Search engine optimization is both the present and future of online marketing, so you must learn it to the best of your ability to make the most of it. Quite simply, search engine optimization refers to the steps taken which allow your website to be more easily recognized in Google and other search engines so that people can find their way to your site and increase your web presence. This is critical for any small business owner since your website is the calling card for your business. Read on to learn a bit more about the types of search engine optimization and how you can use it in your business. Search engine optimization matters because so much of the population uses the web and social media. Studies indicate that there are more than 3.5 billion users of the web all around the world. If you run a business that can easily be globalized, the website is incredibly important, so you need to make it as visible as possible for people who happen to be browsing the web. Search engine optimization is also incredibly important because it allows you to bring people to your website as opposed to having to find them. Once your website is optimized, you do not have to keep actively seeking people because they will find you based on the types of searches that they create on Google. 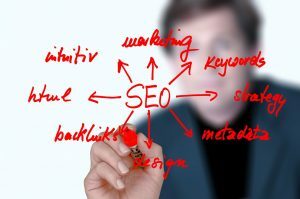 With this in mind, there are a few different types of search engine optimization that you need to keep in mind. The two main types of search engine optimization that you should get to know include on page search engine optimization and off page search engine optimization. Our company is well versed in both in will be able to assist you with whatever you need. First, you should gain a clear understanding of each to know exactly how it can be useful to you. On page search engine optimization refers to the content that you use within your website in order to draw people in. In most situations, this will include highly optimized keywords which people are most likely to use when creating a search. These keywords are sprinkled throughout the text, inside of hyperlinks, within photo descriptions and more. The way that your site is also arranged makes it more search engine optimized and lets you know exactly what you need to do in order to bring more people to your website. This on page content needs to be continuously optimized so that your site remains viable and marketable. Off page search engine optimization refers to any matters that you take advantage of outside of the page to bring people to the website. The most common form of off page search engine optimization is a hyperlink that takes people to your site. This may also include forms of promotion and content posted to social media that tells people about your website or directly take them to your website. Both forms of search engine optimization have their place, so you need to be sure that you master both and do not hesitate to get in touch with our company for some help if you need it. As you can tell, search engine optimization is critically important and should be taken seriously if you are a small business looking to grow your clientele and revenue. 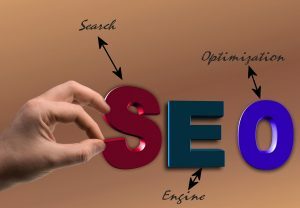 By considering the points in this article, you will have a much better opportunity to understand exactly how search engine optimization works and why it should be useful to your company. Use these points to the best of your ability and do not hesitate to reach out to our company to learn more about how we can serve you.